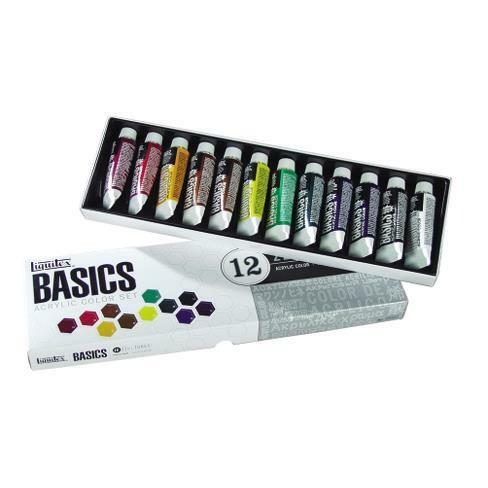 Assortment of popular Liquitex colors. Thick, creamy with satin finish; Good pigment load. Contents: 12 x 22ml tubes.